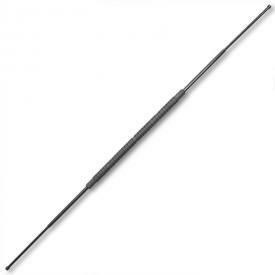 Sure, metal batons are nice weapons, but we're living in the 21st century. 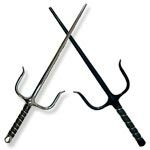 Your bludgeoning weapons need to fit with the times. 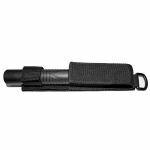 That's why the Expandable Poly Carbonate Baton should be in your repertoire of self defense accessories. 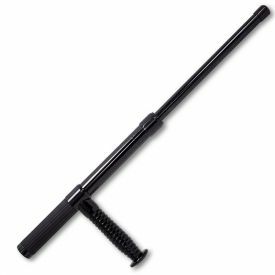 You can easily see that this collapsible baton is a welcome part of our shared future with the Tough Polycarbonate Material that is light and strong so you can smash away at your targets with reckless abandon. 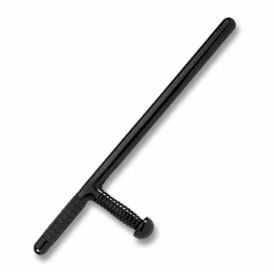 Combine this with the way the night stick can expand from 9" to a heaping 22 inches with a quick snap to enhance your reach and you'll know how to intimidate those around you. 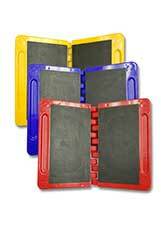 You'll also marvel at the sleekly-designed Rubber Handle that just won't quit. 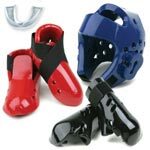 You might be wondering how that's supposed to be so futuristic when the vulcanization of rubber was patented in the 19th century. The sleek design keeps your sweat from making the handle slippery. 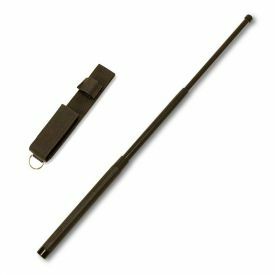 In our extensive baton experience, slippery sweaty hands are the biggest factor in a night stick flying out of your hand mid-caning. 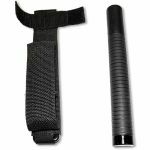 This collapsible rubber grip baton comes with a durable Nylon Carrying Sheath that you can put on your belt. In your futuristic dealings, you'll be able to carry around your collapsed baton hands-free until it's time to defend yourself against wandering bandits or high-fashion gangsters. When you're done, the baton collapses into a convenient nine inches. Just thrust it against a hard surface and follow through. 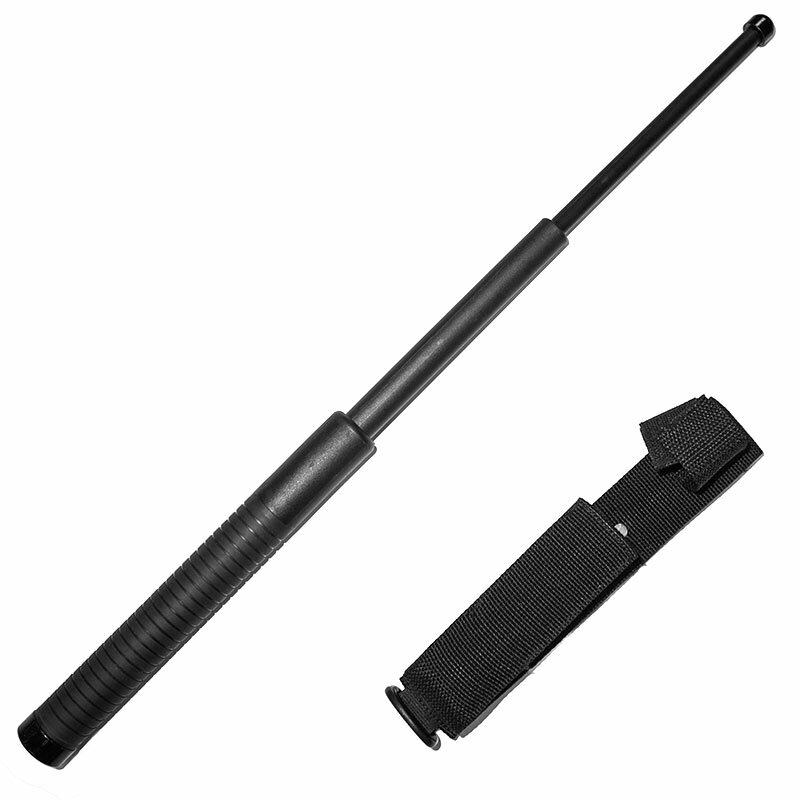 Get an Expandable Polycarbonate Baton today so you can use it for your tomorrow. 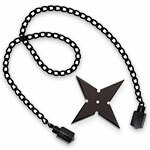 *Note: The handle says "Gendarmeria de Chile," the name of Chile's prison service. There's probably an interesting story behind that. "Awesome.i give it five stars ;) keep up the good work ;)"